Mark Patrick Hederman is Abbot of Glenstal Abbey in Limerick. 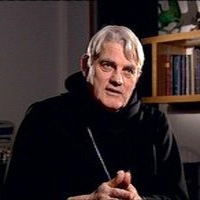 A former headmaster of Glenstal Abbey School, he is author of a number of books, the two most recent being Underground Cathedrals, Columba Press, 2010 and Dancing with Dinosaurs, 2011. With a doctorate in the philosophy of education, Mark Patrick studied in Paris under Emmanual Levinas. With a reputation for being thought provoking, insightful and wise, he has lectured in philosophy and literature in America and Nigeria as well as Ireland, and was a founding editor, along with Richard Kearney of the cultural journal The Crane Bag. His first book,Kissing the Dark (Veritas, 1999) was a bestseller.